12:00 AM, Wednesday June 1st is the OFFICIAL Launch! But… KEEP READING! As in all of life situations, the factors may be a little different. Our understandings may be a little different. Our response and the response of those who love us may be a little different but… When all is said and done… MY story is YOUR story. My memoir, Voice for the Silent Fathers was written for you! Wednesday is the OFFICIAL launch and is available in paperback and on all of your favorite reading platforms. If enough people get a copy TODAY, there is a great chance of getting the book onto the best seller list, helping to spread its message of acceptance, healing, understanding and unconditional love. As a thank-you for supporting my message, I am offering a Special Friends & Family 25% discount. Just follow the links below and use the correct code. Remember this discount will only be available through JUNE 1st ONLY – so please act right now; it’ll only take a minute. Please click the image or link to get your copy now. Thank you for your support in helping my Voice for the Silent Fathers be heard! Have you pre ordered yours? Don’t forget that Fathers Day is on June 19th! This would be a great gift. We’re excited to announce that Voice for the Silent Fathers will be available for purchase at Urban Moon Books in Chesapeake Square Mall in Virginia. About Urban Moon Books: The Indie Author Outlet is a book store in the Chesapeake Square Mall. A place where readers can discover their next favorite author. At our book store indie authors shine. The Address: 4200 Portsmouth Blvd. Suite 768, Chesapeake, A 23321. We appreciate this opportunity to have Voice for the Silent Fathers represented in small local book stores. If you have a bookstore in our area you would like us to contact, please send the name and location to my publisher at mwrightgroup@gmail.com. 6 days to go! It’s finally happening! 6 days to go! It’s finally happening? I need your help! With just a few days from the release of “Voice For The Silent Fathers”, I’ve been contemplating how the entire process of it’s production has been such a blessing. 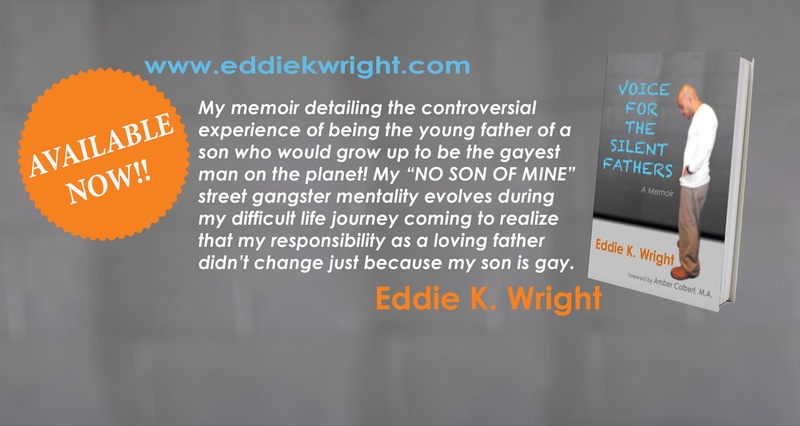 After deciding to actually express my true feelings by writing about being the father of a gay son over 6 years ago, I knew I already came a long way with acceptance and growth. I still remember when the words “My son is gay.” were too embarrassing for me to admit to some of my closest friends, who knew, but just wasn’t something to be spoken out loud. Now I’m days from not only announcing I have a gay son to the world, but doing it with a picture of myself on the cover. I remember when Mimi and I were working on the cover design, coming across difficulties due to me being locked up. It wasn’t like the prison would allow me to leave for a photo shoot, and at one point we contemplated having someone else on the cover to represent me. I quickly terminated that idea because the last thing I wanted was for anybody to think I was ashamed to put my face with the message. After realizing that I’m the first father to write about this topic from this angle, I’m extremely happy I stuck with that decision, knowing that the most powerful way to teach is to lead by example. I stand proud of my son and of myself for who I am today. I made plenty of mistakes as a parent and with my life… I accept that, but I’ve learned from the mistakes and errors of my ways, living each day to be a better me. 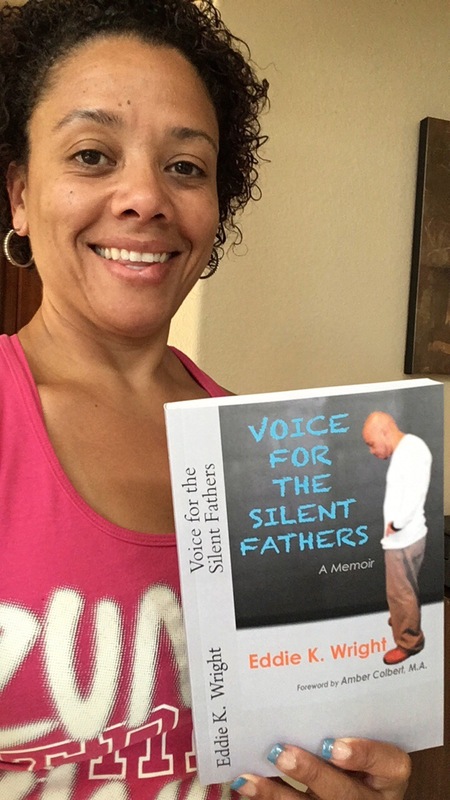 The message in “Voice For The Silent Fathers” is so important that at times I get frustrated with myself because I’m currently unable to physically promote with book tours and speaking engagements. My sister and publisher have had to come up with creative ways to market my book to make sure it gets in the hands of those who need it most. Seriously, since my thick headed, know it all, street gangster macho man mentality can change… believe me, so can any one else. You can get your copy of the magazine by clicking here! FINAL VERSION TO PROOF IS IN! ONE WEEK TO GO! I hope you’re ready! I know I am!